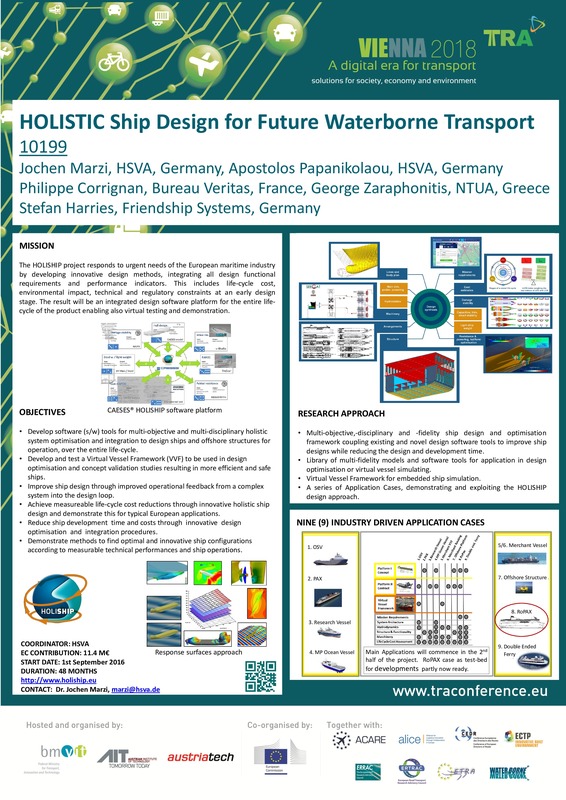 In April HOLISHIP participated in the 2018 TRA conference in Vienna presenting two posters and several oral presentations prepared by project partners. 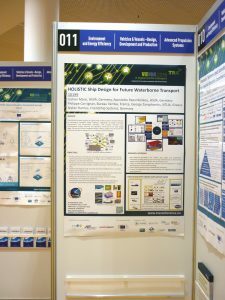 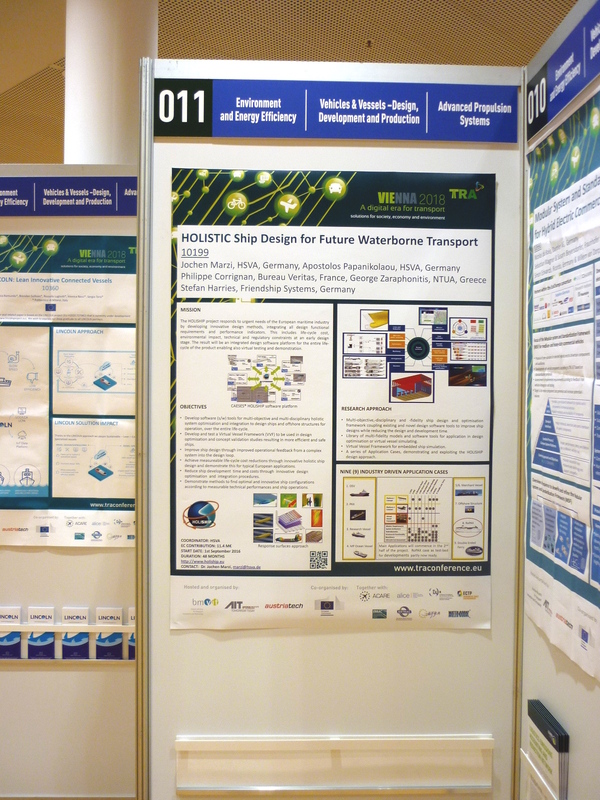 The first figure shows the official “Research Project Poster” prepared for the EU exhibition in the grand foyer of the exhibition centre. 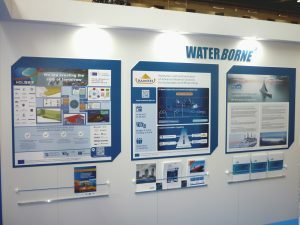 This was shown in line with other maritime projects. 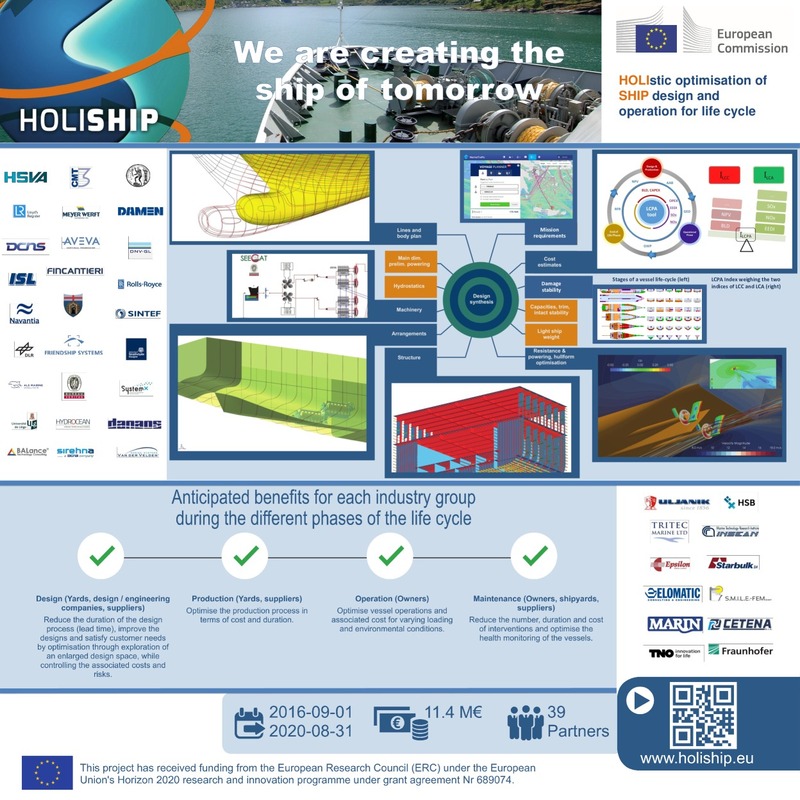 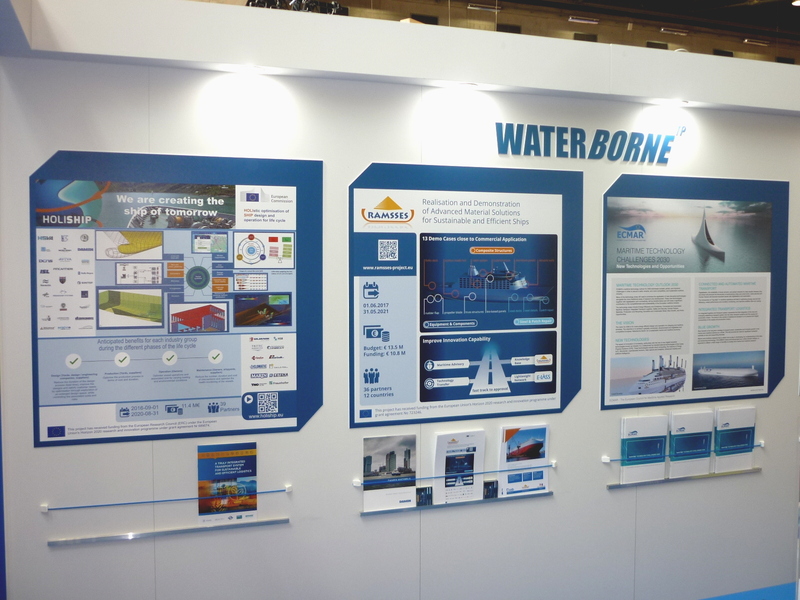 In addition, HOLISHIP has prepared a second poster for the both of the maritime Technology Platform WATERBORNETP to strengthen the overall appearance and performance of the maritime community at the European Transport conference.